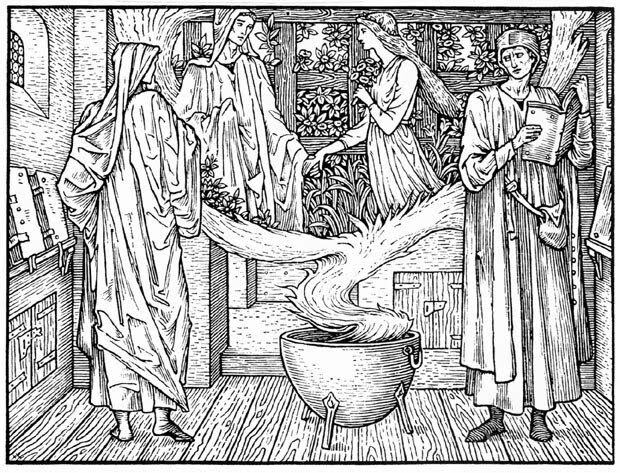 from The Kelmscott Chaucer (p. 165) by Sir Edward Coley Burne-Jones, Bt ARA (1833-1898). Wood Engraving. Incredible detail for a wood engraving... Love this image! Thank you Joanne, striking isn't it.